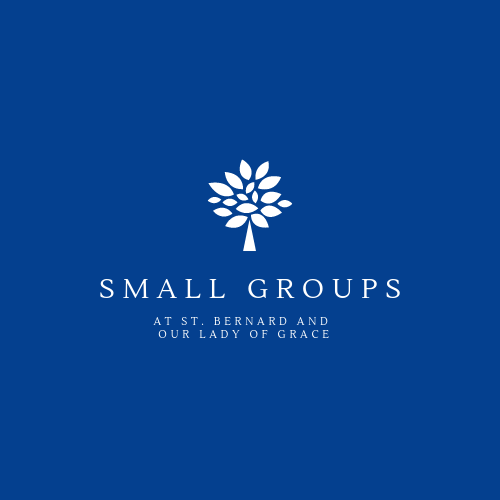 Small groups turn our very large parish communities into smaller communities of faith. Groups are 6 - 12 people who gather together weekly to pray, talk about faith, delve deeper into relationship with Christ, and support one another. Small groups provide an opportunity to grow as a disciple of Christ. As parishes we have focused primarily on catechesis - learning about the faith - through bible studies, talks, and videos series. Having a solid, mature understanding of the faith is wonderful and important but we also need to work on our formation as disciples of Christ. Disciples make disciples. Faith is lived in community. Our relationship with Christ can only become stronger when we invest in relationships with other Catholics who can challenge us, listen to us, and grow with us. Questions About Small Groups? Want to be a Small Group Leader? Mondays at 10 a.m. in a Scott Township home. Women any age. Hosted by Gerri. Wednesdays at 3 p.m. in a Mt. Lebanon home. Women and men any age. Hosted by Mary. Wednesdays at 7 p.m. in a Mt. Lebanon home. Women and men any age. Hosted by Kim. Thursdays at noon at Our Lady of Grace parish. Women and men age 45 and older. Hosted by Liz. Thursdays at 7 p.m. at St. Bernard parish. Men any age. Hosted by Brian.